If you could be charging whatever you want and making 7 figures a year by dominating your fitness business like I do, wouldn’t you like to know how? I’m gonna tell you how I and so many other successful entrepreneurs in this industry got to be where we are, and the answer might surprise you. Ready? Omnipresence. Be everywhere, all the time. I have a formula I like to call the “5, 4, 3, 2, 1 Rule”. Here’s what it is: 5 Posts a Week, 4 Videos a Week, Three Emails a Week, Two Text Messages a Week, One Promo a Week. This is how I build maximum exposure to my current and prospect clients. I put myself out there and deliver content that’s going to drive people to my business. If you’re not posting and showing up on social media every day, no one is gonna know you exist. Let alone be aware that you have a product or service that could make their lives better. Don’t be that person. Show up, rain or shine, and give people a reason to know, love, and trust you. If you’ve got an Instagram or a Facebook (which you should), you better be posting on there at least 5 times a week. And if you have both platforms, then post 5 times a week on each one. All that matters is you’re posting on one or the other 5 times a week. And if you have an Instagram, you’re posting on there 5 times a week too. 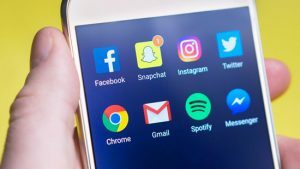 Now, don’t think that just because you’re posting, you’re automatically going to gain a following and increase your client base. I was that fat teenager, looking at all these fitness professionals saying they could get me in shape and help me build muscle. And all I wanted to know was how? That’s what you need to answer in every post. Show them why your product or service is perfect them, and is gonna get them the results they want. You wanna be posting 4 videos a week on your social medias. Let’s do a little math. If you’re posting 5 times a week, and you need to make 4 videos a week, then 4 of those 5 posts can be videos! They don’t even have to be anything fancy or elaborate. You can use your iPhone, man! Let’s say you’re heading into your fitness gym or boot camp during a 5 a.m. session. You walk in, the energy is high, everyone’s working out and having a great time. That’s when you whip out your phone to record a live video. You introduce yourself, show everyone what’s going on, tell them about a promotion you’re doing, give them a link to your website for more information, say goodbye. Done. Now you have a video up and posted. And it took, what, 30 seconds to a minute of your day? Facebook wants you to succeed. They want you to have clients, so they will rebroadcast that video all day long. And guess what? If you post it on your fan page, you have the option to boost it so that it can reach even more people. You gotta be everywhere, all the time. Have your competition shaking in their boots so much, they consider just quitting and becoming a sandwich artist at Subway. Email is one of the most effective forms of marketing today. 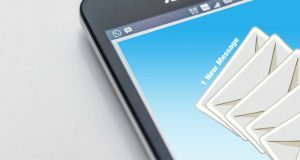 When you use it to your benefit, email lists allow you to get your message across to a large group of prospects, and turn them into paying clients. So here’s what you’re gonna do: you’re gonna sit down, gather your email list, and you’re gonna write 3 emails a week. Remember, any kind of content you’re sending out should be addressing “What’s in it for me?” These emails can be exercise tips, diet tips, motivational blurbs, promoting your product or service, whatever. The point is, you’re putting yourself in people’s thoughts. You want to be top of mind! Get them so invested in you, they’re just waiting at their computer for your next email. And what gets you even more into people’s heads than email? Text message. Think about it, most of us are constantly on our phones, or we have our phones right next to us. Texts are a quick way to get your message acknowledged immediately by the receiver. I’ve had people ask me “How are you texting me all weekend long?” I use Skipio! It’s a great tool that lets me pump you up and keep you motivated. I’m telling you right now, NEVER text your clients offers. And to top it all off, you’re gonna do one promo a week. This promo is what’s gonna get people interested in giving your product or service a try, so that they can become regular paying clients. Keep this in mind – you only have the right to ask people for money when you’ve come with an over abundance of a giving hand. When you’re posting valuable content 5 times a week. When you’re giving tips for exercises they can do at home when they’re pressed for time. When you’re sending out easy, healthy recipes they can make for their families. It’s not just content, it’s a reminder to people to come in for a workout or to share this content with a friend. Be everywhere, all the time. In the end, people don’t care about your business, your certification, your brand, or your education. I know, I know. That’s a tough pill to swallow cause our businesses are our babies, aren’t they? But people don’t care about all that. All they care about is “What’s in it for me?” And once you accept that, you’re gonna bring in more clients and make more money.